Not only has UNM School of Law Regents Professor Sherri Burr achieved a publishing milestone this month, but after teaching for almost 30 years she will retire from her tenured position at the law school to work on a new book and documentary film. Burr is a renowned writer in the areas of intellectual property, art law, and international law, and published her 25th and 26th books in June. Her 24th book, the fourth edition of “Entertainment Law in a Nutshell,” which was published in March, will now be translated into Chinese. “Nutshells” are compact, soft-covered study guides that explain the most important issues of law, highlighting key cases and statutes. Nutshells are written by recognized experts who present the essential rules of law in a uniquely condensed format. The second edition of her Entertainment Law casebook and the teacher’s manual are the 25th and 26th books. The casebook contains cases, interviews with celebrities and other materials that educates its readers about the complicated entertainment business. The New Mexico Black Lawyers Association and Law School friends and colleagues are sponsoring a retirement celebration in Burr’s honor on Monday, July 31, from 5:00 – 7:00 p.m. at the Law School Forum, 1117 Stanford NE. Free parking is available in the law school “L” lot. The event is open to the public; RSVPs to Cheryl Burbank: 505.277.0609; Burbank@law.unm.edu or burbankc@unm.edu. 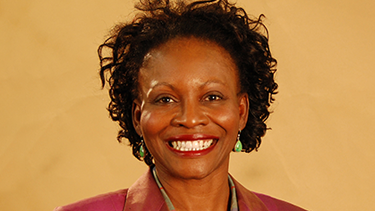 Burr is the first African-American female to be granted tenure and promotion to full professor at the University of New Mexico. She says she plans to teach occasionally. Burr is passionate about telling stories about her Virginian ancestors who were free and owned property in the early 1800s, her paternal great-great grandfather who joined the Union forces as a 16-year-old to fight to liberate blacks from the scourge of slavery, and her maternal great-grandfather who stood up to the menace of the Ku Klux Klan in Arkansas.